The Institute of Robotics and Technical Cybernetics (RTC) is one of the largest research centers in Russia typified by the concertina-edged structure situated at the center of the complex, also called the 'White Tulip'. 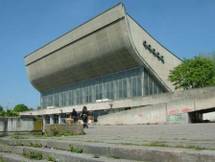 The Institute itself was established in 1968 and later changed to St. Petersburg State Polytechnic University in 1981. The Center is used for the research and development of mechanical and electrical robotics, in addition to space engineering and technologies. They have a focus on technical cybernetics relating to air, land and sea. The Center are able to test and produce specialised space-travel equipment on site which can test the resistance of falling materials. 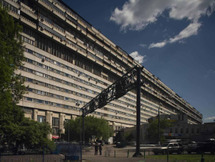 The building is renowned, particularly in Russia as being an example of Soviet Architecture as well as expressing Russia's dominance in the research of space travel.